Limiting my morning and evening social media time has continued to make a significant difference — I have more time, more focus, more clarity. I’m also still working on macro-level goals and intentions, which is so seductive that I do have to actually cut myself off now and then and DO the work. Last week I felt compelled to watch political news in the evening. I don’t usually watch much TV, and I get antsy when I’m not doing anything productive or interesting. So I decided to do some sketching while the TV was on — a satisfying way to get my political fill. I also got two long walks in last week — one with a good friend and the other with my daughter. It felt great to actually move my body during this intensive work period when I’m mainly sitting at my desk. * Anything else is a bonus! – Starting my new knitting project tomorrow: a baby blanket due in March. – replenishing my reserves by reading as much as a can. – deciding if I’m going to do NaNoWriMo this year. I am spending WAY too much time on the computer this morning but in many ways I’m feeling very fulfilled by the exploring. I could explore forever. I definitely need goals and goal planning!!! . . . .
-Decide and schedule in my intentions for the rest of the week. Thank you Miranda for the place and forum in which to do this. I REALLY need this!! Good for you, Denise! 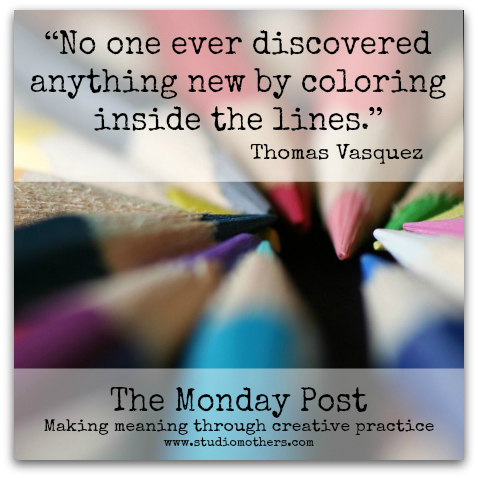 How did it go with sketching your intentions for the week? I quite agree, Elizabeth Jane!